A while ago, your boy awoke to a mysterious treasure map at the foot of his bed (nice work on that!) Now, it’s time to suit him up to sail the seas in search of his rightful treasure! Grandpa has gone to elaborate lengths to set up a chest of loot in his attic--gold coins, stolen jewelry, diamonds, rubies, and emeralds. 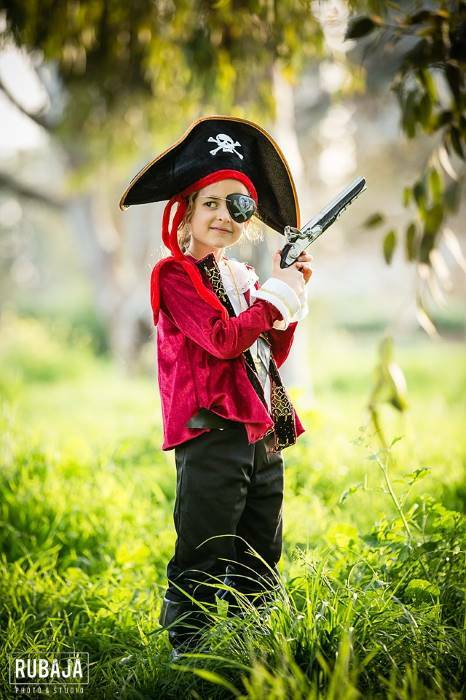 In order to claim his cache, your little scallywag will need plenty of sustenance and a totally authentic look, so he can get into the spirit of the action and defeat the evil rival pirate captain, Grandpa Bluebeard. 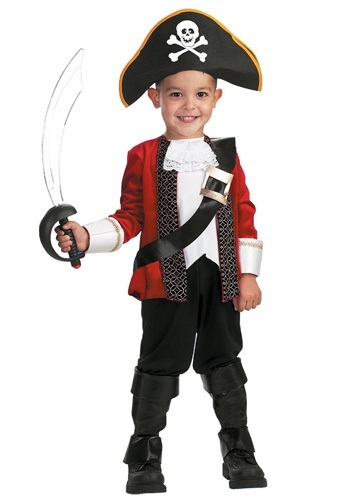 This El Capitan Child Pirate Costume is just the thing, we think, to give your little guy his sea legs. Plus, he’s bound to look totally adorable in it, so you may get a few photo treasures of your very own! The beauty of this costume is in its authentic details, from the red crushed velvet jacket to the black boot toppers. He’ll feel so much like a pirate, he may even make Grandpa Bluebeard walk the plank over the pool before he follows his map upstairs to finally unearth the trove of treasure. Watch him stuff as much as he can carry into this costume’s foam skull-and-crossbones hat before ordering Grandpa--now his pirate prisoner--to carry the rest home. Give him a toy pirate sword or pistol and he'll never stop thanking you; he may even cut you a share of the booty! My son really liked it! That looks like a family that nobody will want to mess with! You guys all look great, and we really appreciate the feedback on these costumes. We'd tell you to have fun but it looks like you've already got that under control.